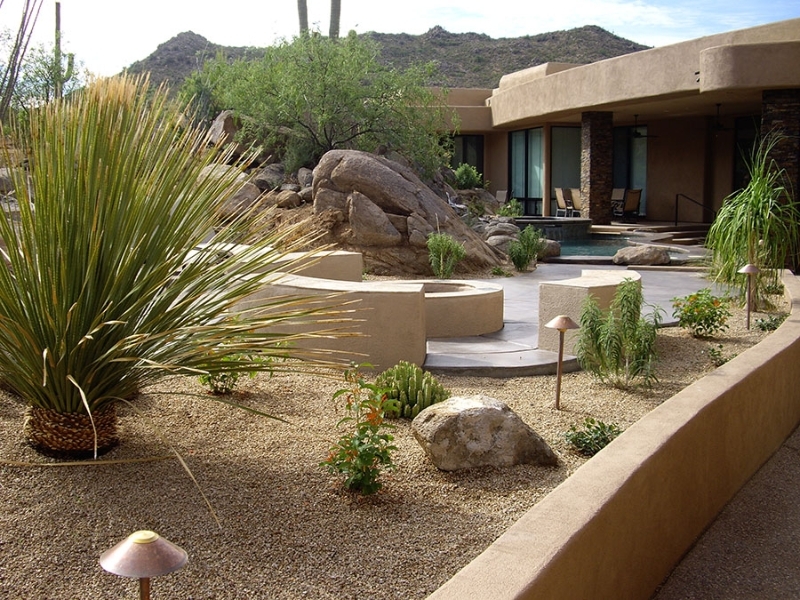 A newly landscaped yard or even a small area of a yard newly landscaped creates many challenges in weed control. Digging holes and trenches brings weed seeds to the surface where they thrive. Often seeds are broadleaf weeds and grasses are brought in with new dirt, rock, and plants. Soon you could have problems that you never had before. The solution to keeping your new yard looking nice after making such a big investment is easy. Once all landscaping is finished and all gravel and plants are in place, the LAST thing to be done is to spray the yard with a chemical to prevent weed growth. It is sprayed on the entire area and once watered in will prevent those new seeds from germinating. There is no reason to be concerned about your new plants or cactus. Pre-emergent will not harm them and if we do apply a weed kill we do not come near your new plants. How to Get Rid Spurge – A Common Arizona Summer Weed Problem.